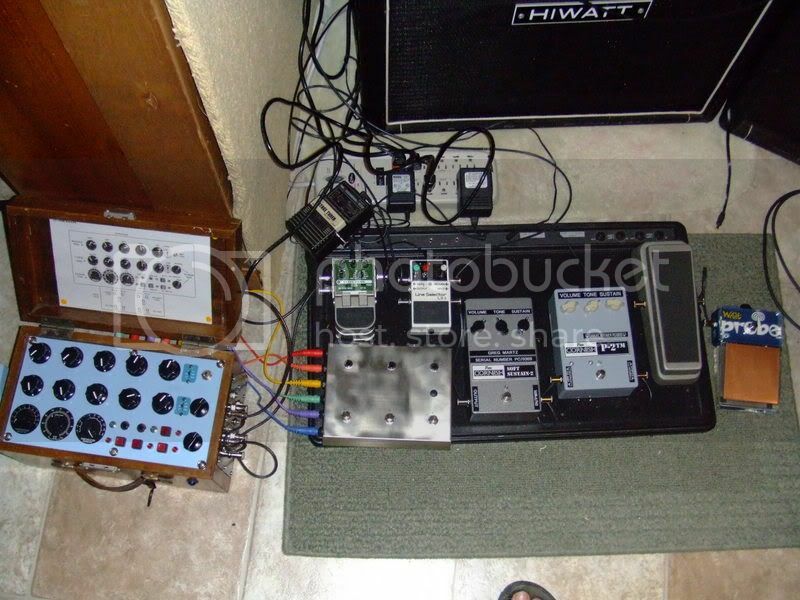 Discussion in 'Effects, Pedals, Strings & Things' started by hathisisfunnyha, Aug 26, 2008. I am really interested in buying some of the Cornish stuff but I wanted to see who is really using any of it and how its lies in your chain. jimmy, wow!!! Tone report on the Super Chorus, please. 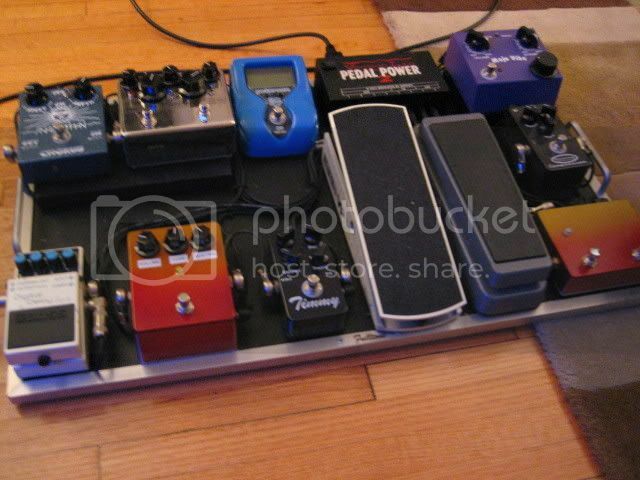 ... where I had my P-2 rehoused in a more ergonomic and aesthetically pleasing way. 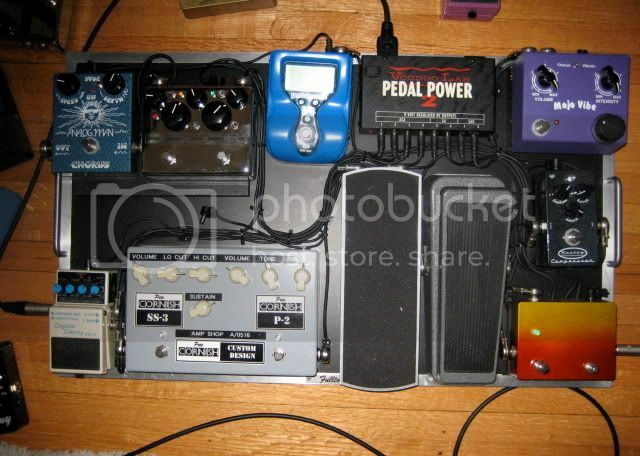 Not on my board in this pic but here are my pedals. 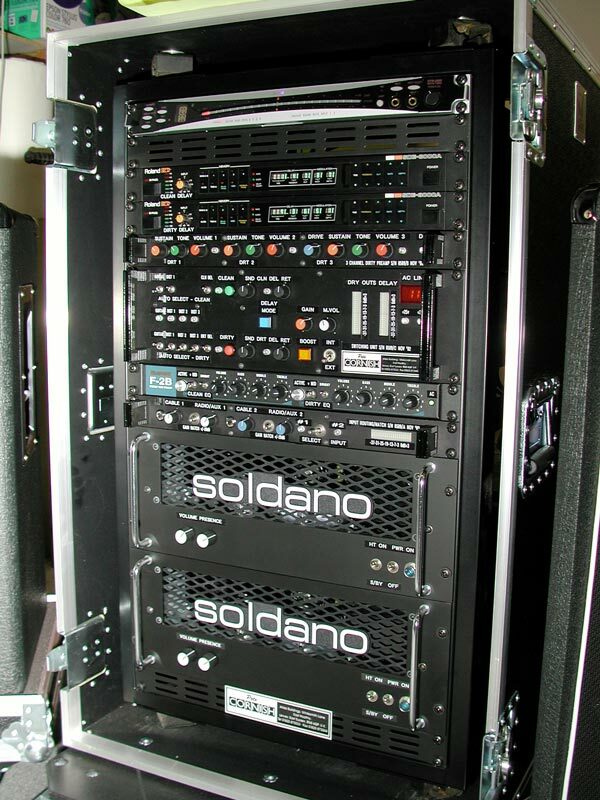 Sweet rig you have there. 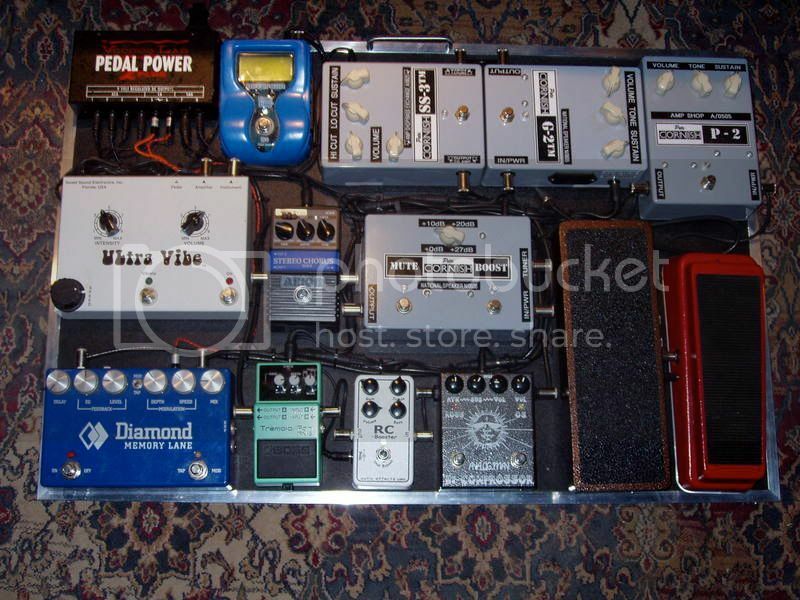 Is there much difference between the P-1 and the P-2 pedals? 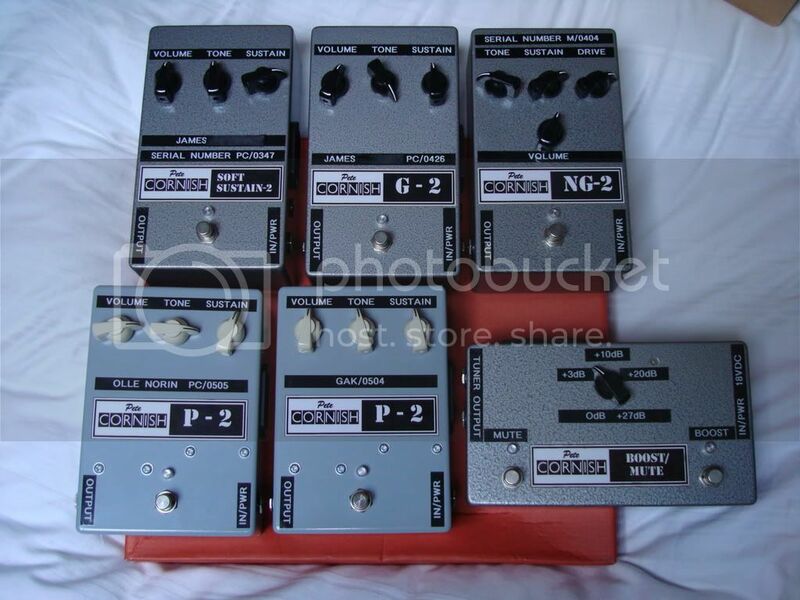 I have not tried the P2 but I know a lot of people on the Gilmour forums who have both say the P2 has more mids. The P1 is based on the rams head muff (is a clone of Gilmours fave muff that he gave to Pete years back) and the P2 is Petes own take on a muff so I believe a fair bit diff!! 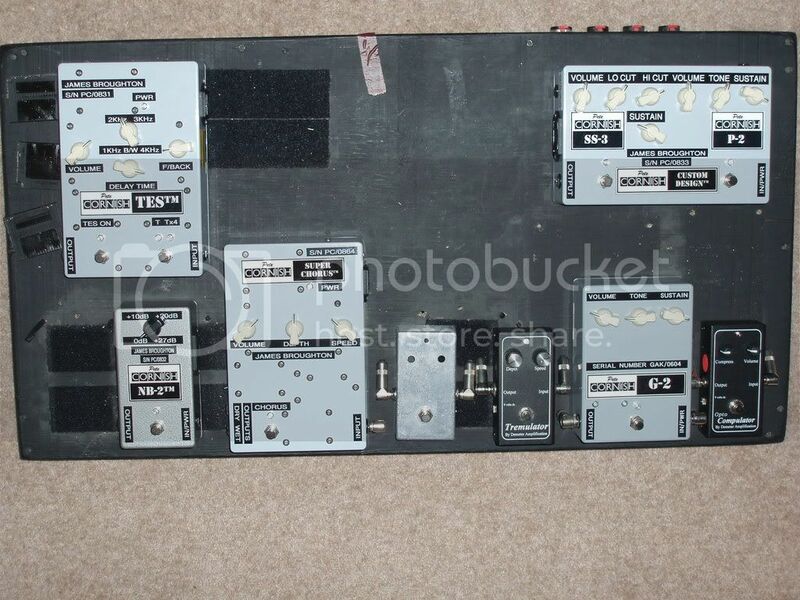 lol yes I would love to try a P-1 The P-2 is one of my favourite pedals. Huge ,thick distortion. Wow. So Cornish pedals are kind of addictive then? Any of you Cornish whores got any clips. I'd love to hear the sounds you are making with them. They sure are - Pete's stuff is all about the sounds you dont hear. You get pure effect and little noise, hum, clicks etc hence everything sounds pure and the Fuzz pedals have great clarity, balance and amp like response. My new pedal the Super Chorus is cool - of course its the CE2 however it is dead silent and AC powered with ridiculous headroom - he has added a parallel mix knob for perfect blend into your signal path which for me is invaluable for my rig - my old CE2 pedal got lost in the mix when placed after my TC2290 etc totally unuseable however I wanted the CE2 sound. Of course it sounds better with the replacement of the cheap components however with the stereo out his features to me make it the best Chorus pedal around sonically and feature wise! I intend making clips when my imac arrives!!! gotta have a double P-2! the NG-2 adds noise and mayhem. I've heard worse (in a good way), but it's pretty trashy. 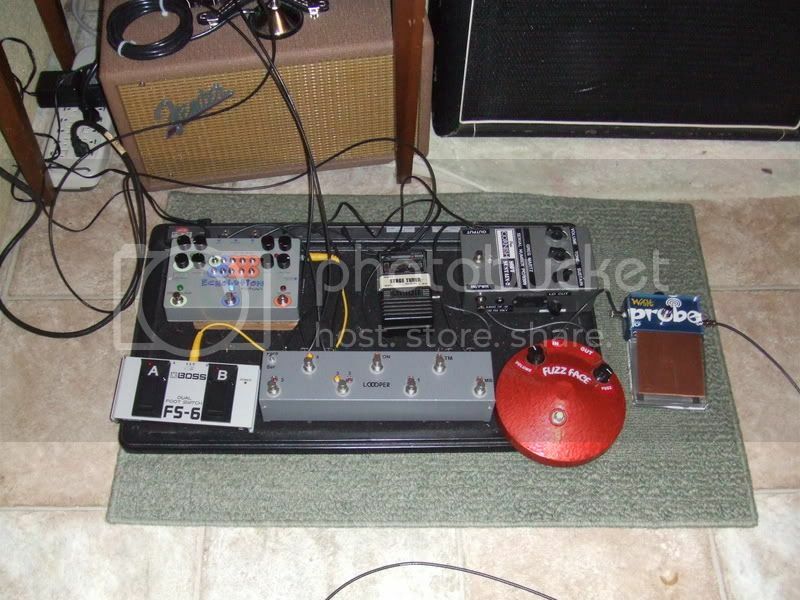 Pedals that ugly, bulky and expensive MUST sound good!